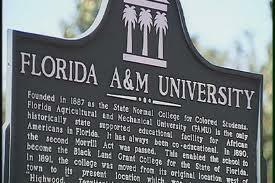 Florida’s university governing board has granted tentative approval to Florida A&M University's strategic plan. FAMU plans to increase its offerings for students and faculty at the graduate and undergraduate levels. That includes pushing for big jumps in its graduation rates. “The plan is aggressive. Some of you as we’ve talked and heard from staff, some of these are challenging and stretch goals and we appreciate that. But we’d rather have it this way than to be comfortable over the next five years," interim President Larry Robinson said during a presentation to the Florida Board of Governors' strategic planning committee Wednesday. FAMU continues to be one of the leading producers of black degree holders at the undergraduate and graduate level, according to Diverse: Issues In Higher Education Magazine. The school is planning to grow its six year graduation rate by 20 points to 60 percent by the year 2022, and increase the number of students passing licensure exams. If it can reach that milestone, the school would be in the top 25 percent of institutions nationally. Robinson says that can be achieved by focusing on student needs and services, and the school is planning to build a new center that does just that. FAMU is fresh off an $8 million fundraising year, a record for the school and Robinson is pushing to grow annual giving to $14 million by 2022. Also Wednesday, the BOG's strategic planning committee granted tentative approval for Florida State University's strategic plan. FSU is pushing to break into the top tier of school's nationally.